promoting advances and developments in these areas of chemistry to the general public. 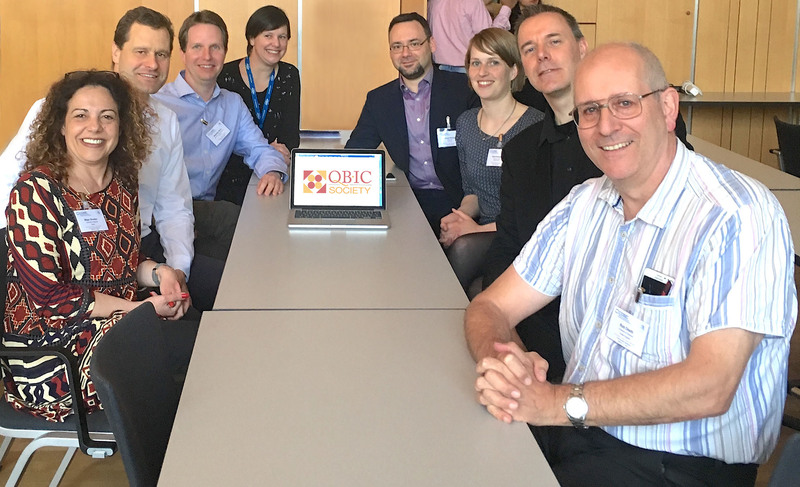 The QBIC Society was founded on April 10, 2018, during the closing meeting in Berlin of the highly successful COST action ECOSTBio. The founding members of the Society were: Robert J. Deeth (University of Bath, UK), Vera Krewald (University of Bath, UK), Dimitrios A. Pantazis (Max-Planck-Institut für Kohlenforschung, Germany), Marcel Swart (University of Girona, Spain), Lubomír Rulíšek (Institute of Organic Chemistry and Biochemistry of the Czech Academy of Sciences, Czech Republic), Matthias Stein (Max Planck Institute for Dynamics of Complex Technical Systems, Germany), Maja A. Gruden (University of Belgrade, Serbia), and Maylis Orio (CNRS, Aix Marseille Université, France).